David Byrne is both singer and conceptual artist. His career doesn’t have a single plot, it is best seen as a wide landscape in which many different routes (movies, documentary, ethnography, experimental theatre, photography, writing) connect the two mainstays of his career: the distanced, ironic, political intellectualism of conceptual art and the emotional directness and non-verbal appeal of popular music. This book is the first to chart Byrne’s work in its entire breadth. Next to his work with Talking Heads and his later solo career, his collaborations with artists as diverse as Brian Eno, Twyla Tharp, Robert Wilson, Jonathan Demme, Bernardo Bertolucci, JoAnne Akalaitis and Joseph Kosuth are discussed. Special attention is given to Byrne’s intellectual resources: his collaborations with ethnomusicologist John M. Chernoff and with art historian Robert F. Thompson are closely examined, as well as the influences of conceptual criticism, of Jungian psychology and of performance studies. 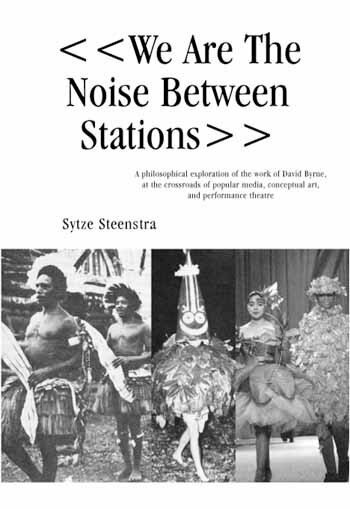 Finally, Byrne’s work is interpreted against the background of a philosophical tradition (Novalis, Schlegel, Benjamin, Adorno) where stylistic and avant-garde experiments are considered as a precondition for reflexivity.